A nineteen year old boy has one opportunity to seize an experience he has always longed for, before it's too late. The family’s mother has absolutely no problems with her son having just introduced his boyfriend to her. She only wants to give him a little well-meaning advice. Tight dialog and wonderful acting skillfully reveal family relations where a car trip leads to unforeseen consequences for an entire family. Victor likes to experiment with his gender. He doesn't know whether he feels like a boy or a girl. He lives in a small seaside village in Almeria, with his mother Mari Angeles and his girlfriend Rahma. Once in town, protected by anonymity, he discovers himself. 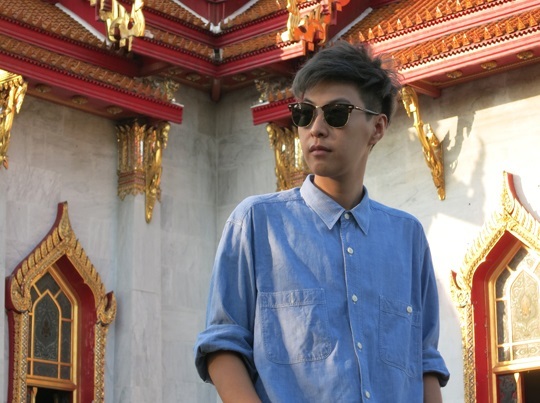 In the conservative Thai society there is no place for lesbians. Such women are treated as inadequate, abnormal, disgracing the family. The film characters vary in terms of age and social status. Some of them are ‘tomboys’, others feel happy as women. Some would like to break free from traditional female roles while others dream of having a family. But there is one thing they all share: the need of acceptance and respect.